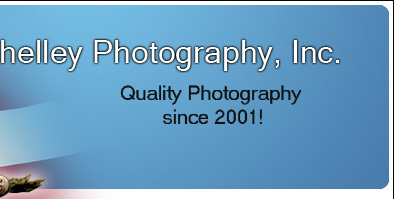 here to find your pictures "
Shelley Photography Inc. has served the public since 2001. We use the same experienced photographers year in and year out to capture your event or portrait session. Our belief is that the final product will reflect this. Our courteous and informative sales and technical people will make your photographic event run smoothly and efficiently. Our customers continually state that the quality of our photography, graphic artwork, and friendly sales and service is second to none in the industry. We back up our product.